This past Labor Day Weekend turned out to be an interesting weekend. Besides having a wonderful time with my family, I was given something special that I never thought I would see again. A few years ago when my mom gave me my grandma’s file of recipes, I asked if I could have her cookbook too. She may have had other cookbooks, but the only one I ever remembered her using was a red Betty Crocker cookbook. Unfortunately, when my mom and my aunt cleaned out my grandparents’ house, they never found her cookbook. No one knew where it could have ended up. My mom speculated that it may have been in my grandparents’ camper which had been sold a few years before their house was sold. It always saddened me that the cookbook was missing. Fast forward to this past weekend. We had a family wedding which brought us to the little town where my grandparents lived. A friend of my grandpa’s offered to let our family stay at her lake house. My mom and aunt arrived a few days early, and my sister, her boyfriend, and my immediate family came for the long weekend. Somehow during a game of Scrabble the topic of recipes came up, and I noticed my mom and my aunt looking at each other. I finally asked them what was going on. They told me that they had found grandma’s cookbook there, at the lake house, while looking at the DVD’s in the TV cabinet. There was no doubt it was my grandma’s cookbook—stuffed between the pages were recipes written in her beautiful handwriting, jotted down on envelopes that had her address on them. After my grandma had passed away, my grandpa must have brought the cookbook over to his friend’s for some reason. My mom and aunt were not sure if they should tell me they had found it--they knew I would want it, but they had not yet asked the sweet lady that owned the lake house if we could have it back. They thought she would probably want us to have it, but of course they wanted to make sure. Luckily before the weekend was over they were able to talk to her, and thankfully she said to take the cookbook. I can’t tell you how happy I am to have it! It is worn and falling apart, but I have so enjoyed paging through it over the last few days. 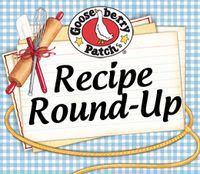 In a past post I expressed frustration at not having grandma’s rhubarb custard pie recipe, but after looking through the pie section of the cookbook, I think the recipe in this cookbook is probably the one she used! These Cinnamon Rolls are one of the many yummy recipes that I remember my grandma making out of her cookbook. It is a simple, basic recipe as are many of the recipes in this cookbook. I did adapt the original instructions to directions for using a stand mixer. I also used butter in the dough instead of the shortening called for in the cookbook. Another change that I made was that I used Red Star Quick Rise Yeast instead of fresh yeast. This reduces the rise times by about half. I have heard that you only need one rise with the Quick Rise Yeast, but I did do two. The recipe below contains my adaptations, so if you don't use a quick rise yeast, extend the rise times. The cinnamon roll recipe my grandma used to make. 1. Attach dough hook to stand mixer and in the mixer bowl combine 2 cups of flour, yeast, sugar, and salt.2. Heat milk at a low power in the microwave until lukewarm (120°F-130°F).3. Add the warm milk, 1/4 cup butter and egg to the flour mixture and mix at a low speed until ingredients are combined, scraping sides of bowl frequently.4. Continue to add the remaining flour, 1/2 cup at a time until the dough begins to leave the sides of the bowl. 5. Turn dough out onto lightly floured board and knead until it is smooth and elastic. 6. Spray bowl with cooking spray and place dough in bowl, turning once to bring greased side of dough up.7. Cover and let rise in a warm place until double in size (about 1 hour).8. Punch down dough, pull edges into center, and turn over in the bowl; let rise again until almost double in size (about 20-30 minutes). 9. While dough is rising, combine sugar and cinnamon for filling.10. Roll dough into 9"x18" rectangle then spread 2 tablespoons softened butter over dough and sprinkle with sugar and cinnamon mixture.11. Roll up tightly beginning at wide side and seal well by pinching edges of roll together.12. Cut roll into 1" slices by placing a piece of dental floss under roll, bringing ends of floss up and crossing at the top and pulling the ends in opposite directions, cutting through the dough. 13. Spray 9"x13" pan with cooking spray and place rolls in pan a little apart from each other.14. Cover pan and let rise until double in bulk (about 20-30 minutes).15. Bake in a 375°F oven for 25-30 minutes or until golden brown and completely baked through.16. To make glaze, combine powdered sugar, 2 tablespoons butter, and vanilla in a small bowl; gradually stir in milk until desired consistency.17. Cool rolls for about 5 minutes, then spread or drizzle glaze over rolls and serve warm. Glad you got your Grandma's cookbook. I'm sure you'll have lots of fun making the recipes you remember from childhood! 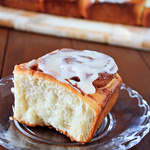 Great recipe - love cinnamon rolls :) We do recommend 2 rises with the Quick Rise yeast as this is when the wonderful flavors develop. Thank you Carol--it's good to know that 2 rises are recommended with the Quick Rise. Oh how I love cinnamon rolls...these are beautiful, Jill! I'm so sorry to hear about your grandma but what a lovely story. It's so nice that her cookbook was found and that you now have possession of it. I spent many days cooking with my grandmother so I know how precious that book must be to you. 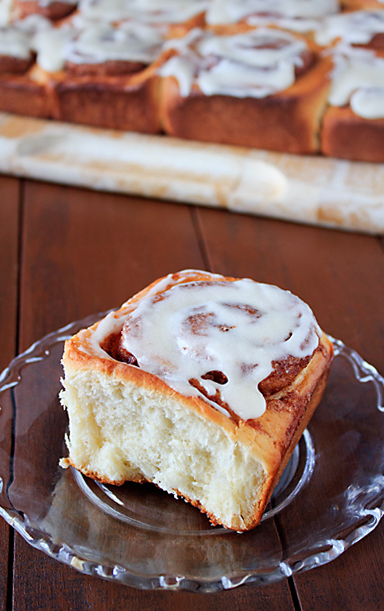 Those cinnamon roles look heavenly. I may have to try those around the holidays. This recipe is extra special because it came from your grandmother! And I'm a firm believer that any recipe from grandma is going to be so perfect and delicious! These cinnamon rolls look very tasty! Lovely story Jill, so glad you have the cookbook now!! These cinnamon rolls look wonderful! I think it's fantastic that you found your Grandma's beloved cookbook and I know she'd be so happy that you did! Jill, these cinnamon rolls look completely perfect and I know they taste the same! Thanks! Oh my! A special weekend indeed! I can imagine you must have been in tears! That is pretty freakin' amazing! And those cinnamon rolls must have filled your house with the scent of warmth and memories! Oh my gosh Jill! What a lovely post! I am so happy for you that you finally found that cookbook. I can tell how special it is to you. And I just know that everything you produce from it will be just wonderful! What a great cookbook...and I look forward to your future posts about it! Oh, I am SO excited for you that you got the cookbook! I blogged last week about my mother's cookbook that meant so much to me, so I COMPLETELY understand your joy at having it in your possession! The rolls look delicious and I couldn't be happier for you! That's so amazing that you found the cookbook. The cinnamon rolls look incredible! I love hearing your personal stories and thank you for including the pic of your Gram's book. I was so happy that you were able have it, I know it's a special treasure for you : ) Oh and the rolls and the recipe look yummy too. : ) My Dad's Mom was a prof baker in the old country and continued here, she made some awesome cinnamon rolls too! That's great that you found your Grandmother's cookbook! I know recipes that are passed down and parts of our memories are such a treasure. These cinnamon rolls look divine! There is nothing better on a cool fall morning with a cup of coffee!! These cinnamon rolls look unbelievable. So glad you found her cookbook! Cookbook score! I love unearthing recipes the family have used. The cinnamon rolls look so very good. That story made my day, and yours too I'll bet! What a treasure to have her cookbook located again! You will have much pleasure with such a keepsake. Oh, I was so excited about the cookbook I forgot to say how great the cinnamon rolls look! These look like the ones you would buy at a store..AKA AMAZING and PERFECT. Your grandma did it right! Hey Jill , I am so glad that you found your grandma's book , what a treasure it must be for you , the cinnamon rolls look so good , I just love them especially how the house smells after making them :D .
Those cinnamon rolls look droolworthy! These look wonderful, just found these on pinterset, following you now on FB!